Ah yes, our favorite feline continues to stalk the fashion scene. 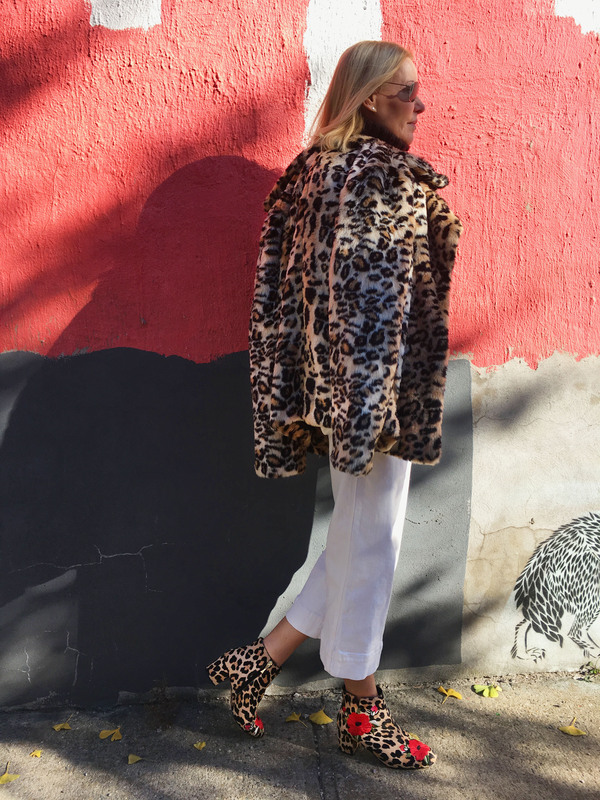 Call me a super fan, but I just can’t quit my love for leopard. Whether you want to layer it on as I’ve done in this look or just spice up your wardrobe with one purr-fect piece, there’s no better time than now to take the leap. I promise you’ll be glad you did. I guess I’m officially a crazy cat lady. At least when it comes to all things leopard print. As you can see here, I had fun piling it on. But I also had fun surprising myself with that pop of red. 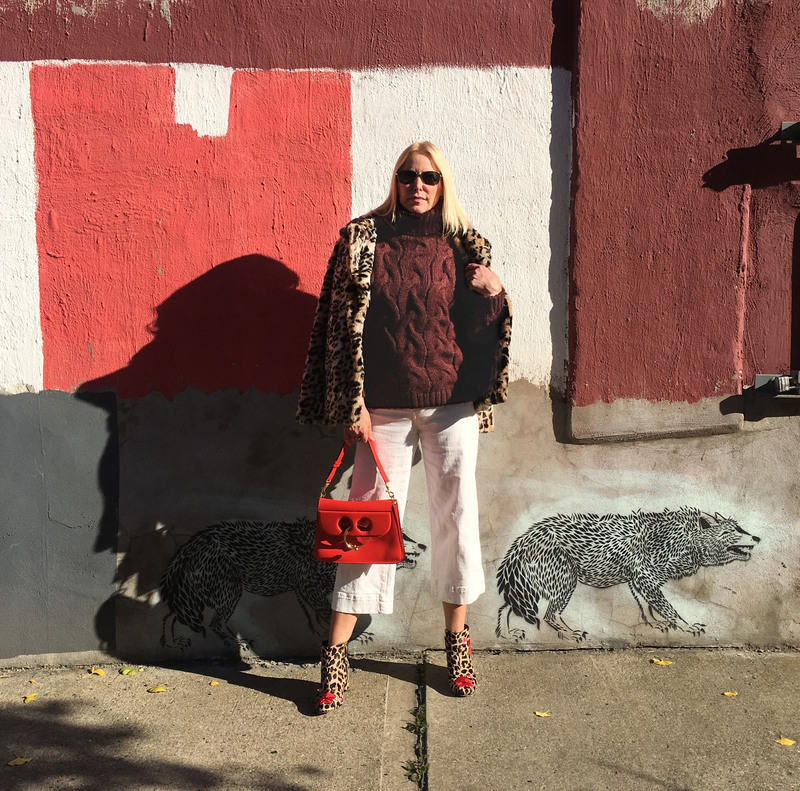 If the blogosphere is for real, the leopard-and-red combo is a must try, must do. And I’m so glad I did. Let’s start with what’s under it all. 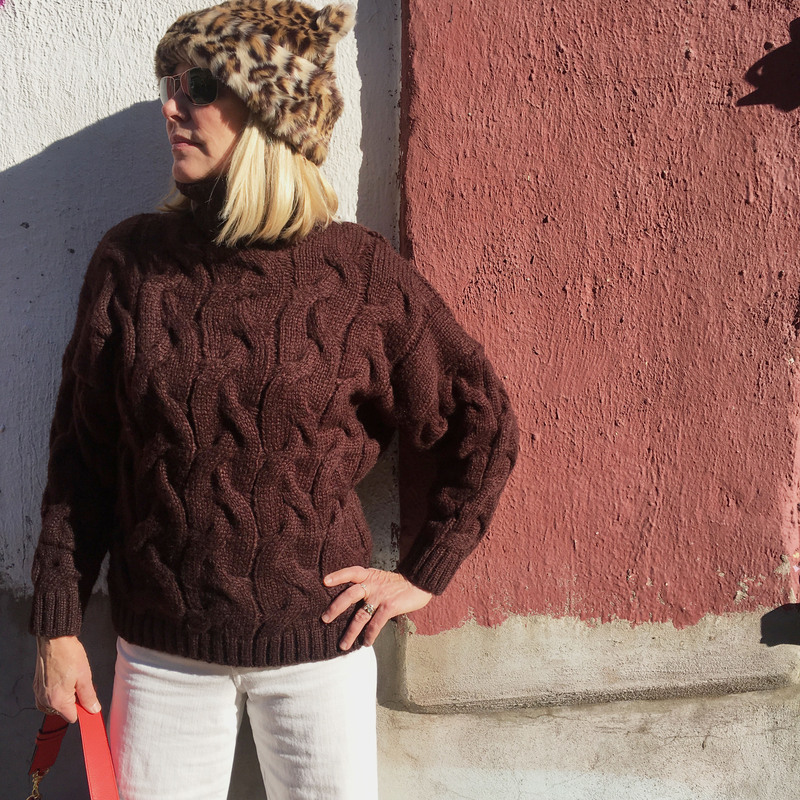 The base for my look is all about subtle neutrals — a chunky chocolate turtleneck from a new label, Hygge North, that I’ve just discovered and am loving and these cropped, wide leg jeans as seen this summer. That’s right ladies, shop Black Friday all you want but shop your closet, too! In case you are new to the latest lifestyle trend, Hygge is “the art of building sanctuary and community, of inviting closeness and paying attention to what makes us feel open-hearted and alive.” That might sound like a stretch, but I’m wearing this turtleneck as I write this post from our Adirondack cabin where it’s already a very wintery world, and I feel beyond cozy…and happy. To be frank, I was dubious when I ordered this sweater, especially since it was such a deal. BUT…I absolutely love it. And plan to wear it all winter long, whether I’m in Jersey City or up in North Country. Lest you think I have forgotten about my leopard lovelies, fear not. Seriously, how cute is this hat! And I don’t care if I’m old enough to know better!! I kid you not, but people literally stop me everywhere to tell me how much they love it. Or literally want it off my head. Meow, but this chapeau is mine, all mine. This leopard hat is literally worth it for the conversations alone. 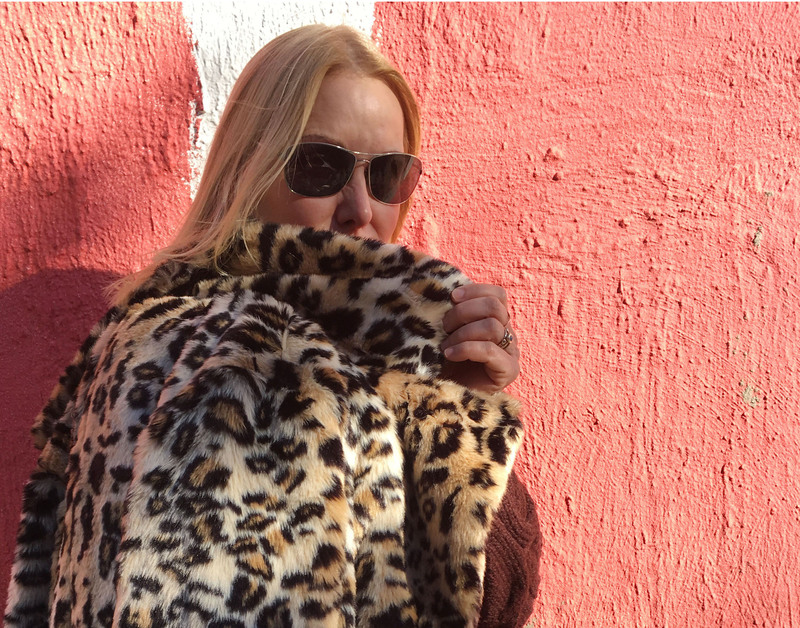 Fall/winter 2018 is all about all the fabulous faux furs out there, and a leopard jacket or coat is such a fun and classic way to indulge. I fell in love with this coat last year, when I got to borrow it from a shoot I was working on. It was that or freeze to death! So, I promptly ordered one for myself. Obviously it’s long sold out, but I’ve linked some adorable (and affordabe!) dupes below. 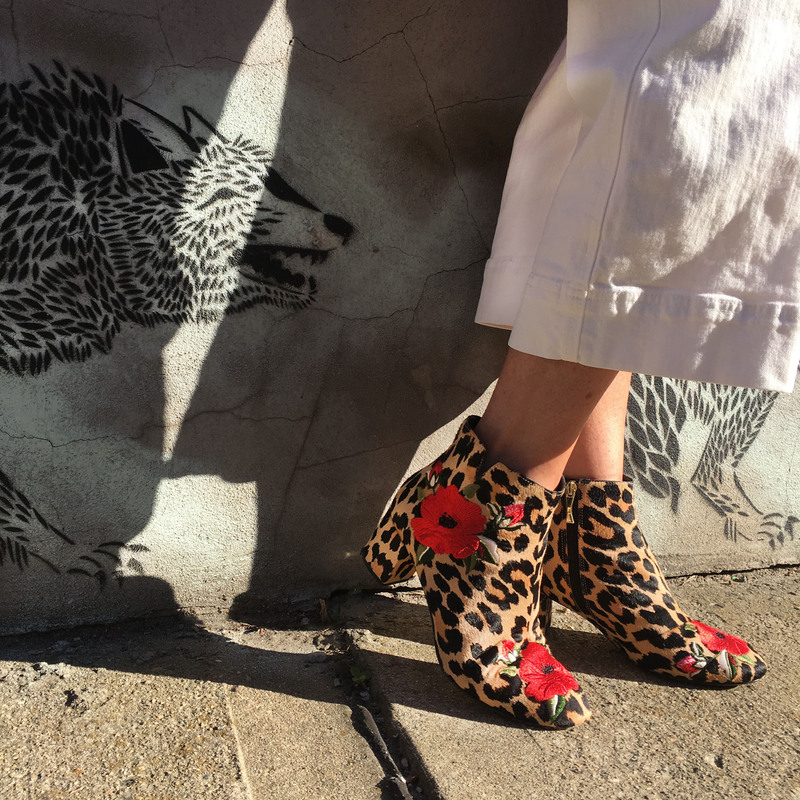 Last but never least, we must take note of these leopard booties. Again, a 2017 winter find from Kate Spade. What really caught my eye were the embroidered red poppies that, well, pop. And the cute rounded toe and walkable block heel on these booties make them as practical as they are pretty. 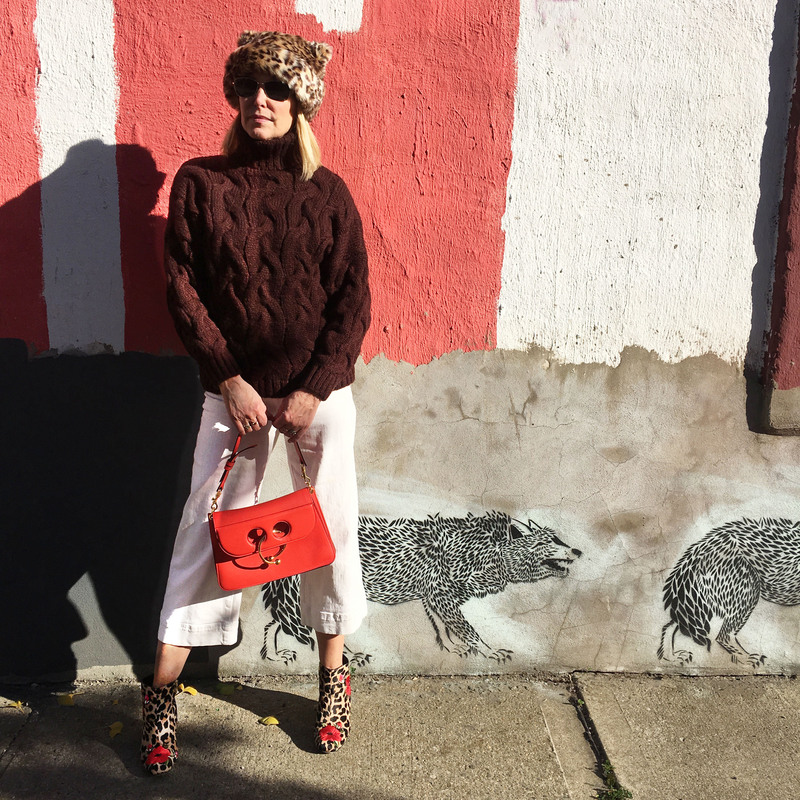 Which made finishing off my look with my poppy red JW Anderson Pierce Bag, scored from The RealReal, a fashion no-brainer. 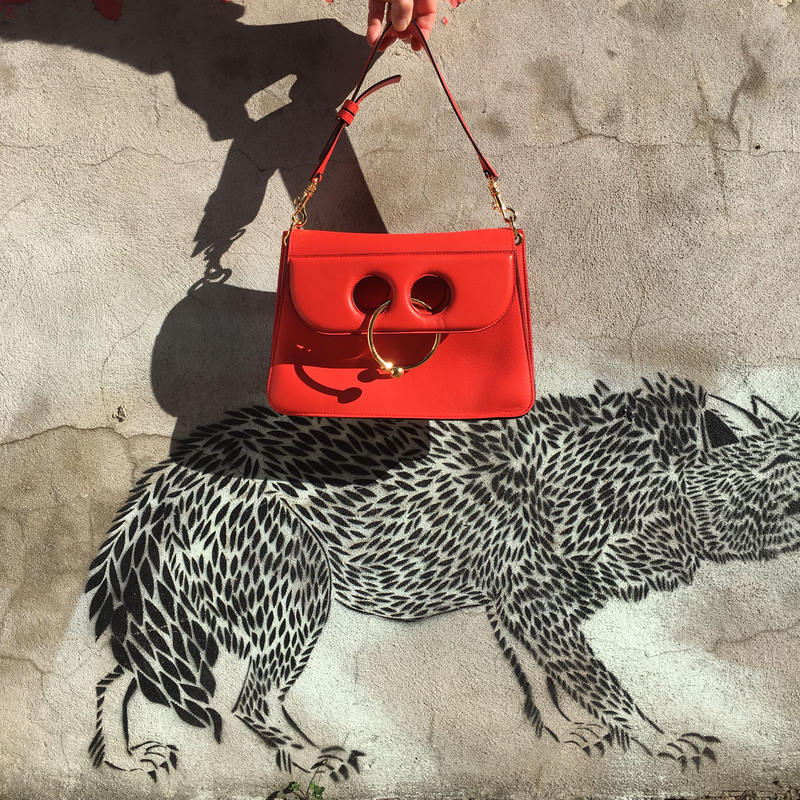 Yes, a splurge, but it’s a statement bag I am going to be carrying, and loving, for seasons to come. Promise! Coat: (Aqua, old) Other fab faux options here (all of them! ), here and here (30% off with code GMJOY30!). Hat:(Kate Spade, old) Super cute options here , here and here. Booties: (Kate Spade, found on Bluefly! over 40% off!!) Loving these (bow detail! ), these and these (under $35!). 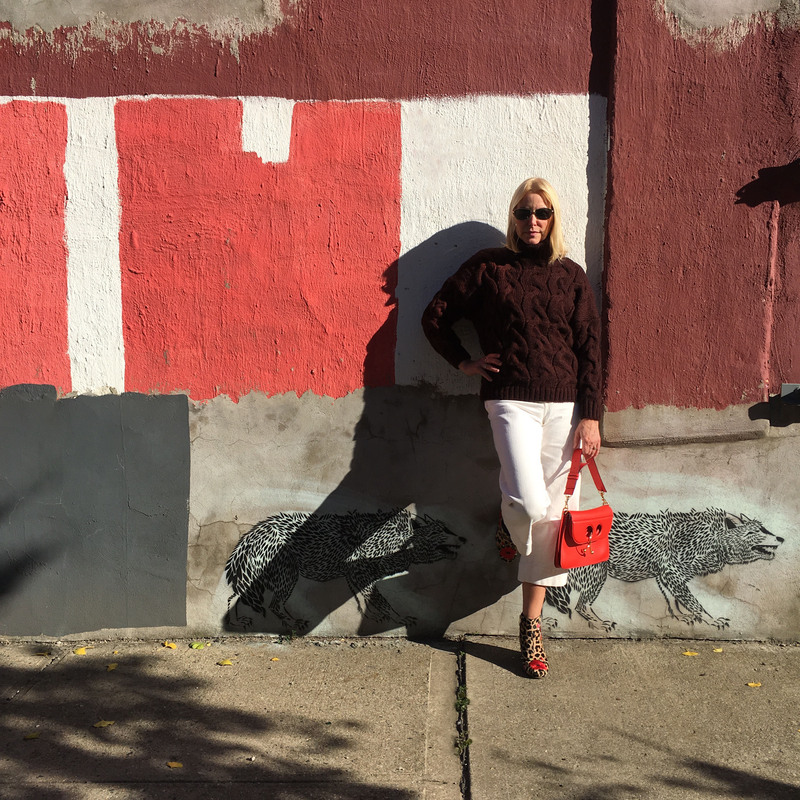 Sweater: (Hygge North) Also like this cashmere version and this cotton one (ridiculous deal! ), too. Jeans: (H&M, sold out) Similar here and here.